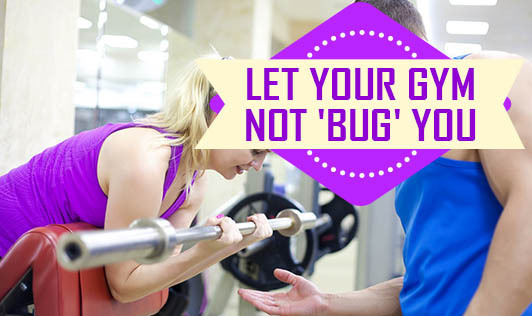 Gym workouts are great for your health but lack of hygiene in gyms can spread the bugs around. Some surveys conducted in the western countries show that there are millions of bacteria and viruses harbored in gyms. It won`t be very different in Indian gyms, considering our sense of hygiene or the lack of it. The infection-causing bugs can be present in the gym equipment, changing rooms, showers, toilets, dirty towels, or the sauna and steam rooms. Wash your hands thoroughly before and after the exercise program. Use a clean towel to wipe the sweat off from your body. Do not touch your eyes, face, nose or mouth with sweaty or dirty hands. Wear clean footwear inside the gym. Avoid footwear that you use to walk on the roads because you will carry the dust and dirt from the roadside into the gym. Use clean mats for floor exercises. After you finish using a mat, keep it aside for cleaning; do not keep it with the clean mats. Wear clean slippers and use a clean wrap when you go into a steam or sauna room. Make sure the showers and toilets are clean before you use them, and leave them in a clean condition after your use. Carry your own drinking water if you are unsure of the water provided in the gym. Avoid going to the gym if you have an infection.